The Blues have been dominant against every division in the NHL… except their own. The Central Division is arguably the best division in the NHL at the moment. If the season ended today, four of the five teams would be in the playoffs. No other division can boast the same honor. What may even be more impressive is that three of these four teams in the playoffs have winning records against their Central Division foes. Currently, the Nashville Predators have posted an astonishing 13-3-2 record against the other Central teams, while the Detroit Red Wings are 10-5-0 and the Chicago Blackhawks have cataloged a 9-4-2 record. The St. Louis Blues are 5-8-2 when facing the Central Division. 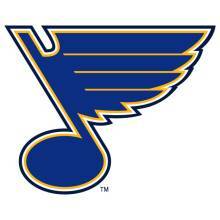 As hard as this is to admit, the Blues recorded a loss to the infamous Columbus Blue Jackets on February 14. The Blue Jackets have less than half the points that the Red Wings have accumulated this season. There is a lot of success to be had when you are competitive in your own division. Every division winner since the lockout has had a winning record against its own division. Obviously, the Blues are getting it done when they are facing the other divisions in the league. Otherwise, they would not be sitting in 4th place in the entire NHL. The Blues showed why they are a top-team Saturday afternoon when they hosted the Minnesota Wild at Scottrade Center. All cylinders were firing, as gritty defenseman Barret Jackman found the back of the net for the first time in 150 games (a league-high before the goal was scored). Fourth-line mucker Ryan Reaves scored his first goal of the season and goaltender Brian Elliott had to make just 13 saves to receive his sixth shutout of the season en route to a 4-0 victory. The Blues were flying high as they hit the airport after the game and headed to the Windy City to face the Blackhawks. It was a different tune Sunday afternoon at the United Center. Taking a one-goal lead into the third period, the Blues surrendered three unanswered Blackhawk goals, including a giftwrapped present to Blackhawks forward Dave Bolland. He threw the puck in front of the net that hit off Blues captain David Backes’ foot and sailed in to put the Hawks up 2-1 late in the third. Marian Hossa added an empty-net goal to close the game out with the Blackhawks on top, 3-1. It was only the Blues’ second regulation loss when leading after 40:00 (25-2-1). The Blues are five points behind the Red Wings for the division lead with one game in hand. The bad news? The Blues will face a Central Division team nine more times in their final 23 games, including a stretch of four games that will feature every division rival back-to-back-to-back-to-back (March 27 – April 4). With four Central teams currently in the playoff picture, the Blues will have approximately a 43% chance of facing someone from their division in the post-season. The key to the Blues’ success down the stretch will be to figure out how to surprise the rest of the Central and pull out some victories. After all, 29% of any team’s schedule is divisional match-ups. That is a large chunk of games that have to translate to wins in the standings.